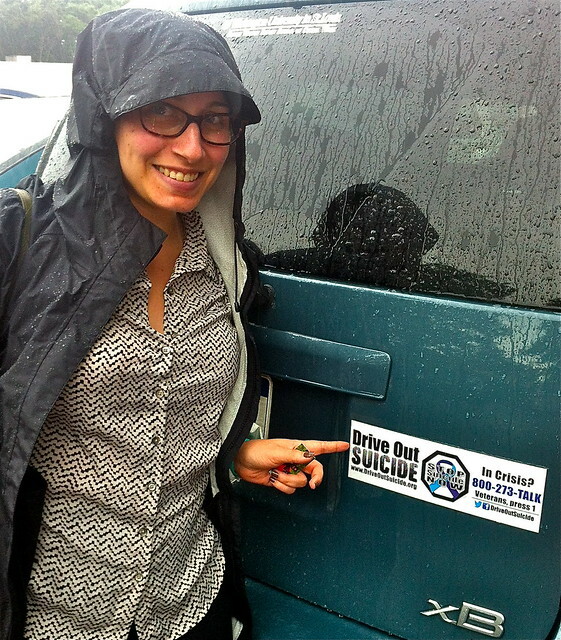 Tova Tenenbaum sports a “Drive Out Suicide” bumper sticker on her car’s hatchback door to make it easy for people to notice. The sticker has a crisis telephone number 1-800-273-TALK (8255) and is for anyone in need or anyone who knows someone in need. A referral can be made for mental health services. Military veterans, who are in a separate health system, need only press #1 to get info directly related to them. Visit the Drive Out Suicide blog here, www.preventsuicidepa.org/blog, sponsored by the Pennsylvania Adult/Older Adult Suicide Prevention Coalition.